SIOUX FALLS, S.D. – For the sixth-consecutive season, Denver was selected by The Summit League’s nine head coaches to win the #SummitWGF Championship in April. 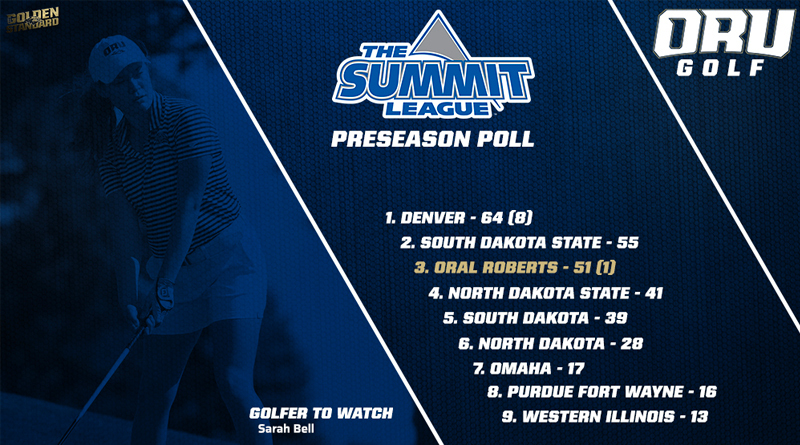 Summit League officials released its 2019 Women’s Golf Preseason Poll and Golfers to Watch list Thursday. Oral Roberts freshman Sarah Bell was among those named to the Golfers to Watch list after finishing in the top 20 in four events during the fall, including a tie for third at the N.M. State Aggie Invitational. The Pioneers, who have represented the league in the NCAA Tournament during each of their five seasons as league members, received all eight of the first-place votes they could receive while South Dakota State followed in second place with 55 points. Oral Roberts took third with 51 points and received the remaining first-place vote. North Dakota State, who won the 2018 Summit League Championship, was fourth with 41 points and followed closely by South Dakota who took fifth with 39 points. North Dakota was picked to finish sixth in its inaugural season as a league member, finishing with 28 points while Omaha (17), Purdue Fort Wayne (16) and Western Illinois (13) rounded out the poll. 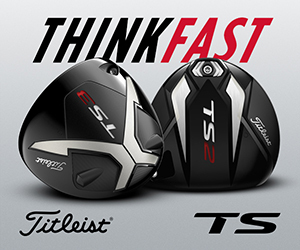 – Bell is third in The Summit League in scoring average entering the spring season with a 73.4 stroke average. – ORU has three of the top nine scoring averages in The Summit League after the fall season. In addition to Bell, Isabella Caamal is sixth at 76.0 and Beatriz Garcia is ninth at 76.5. – As a team, the Golden Eagles finished the fall season tied for second in scoring average at 300.9 strokes per round. 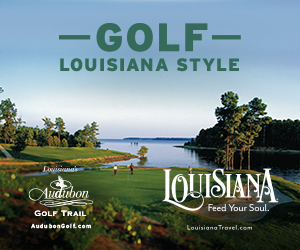 – The Golden Eagles shot a season best 292 on two different occasions during the fall season.